St Louis Bankruptcy: How Do I Stop Collection Agencies From Harassing Me? IF A COLLECTION AGENCY IS VIOLATING YOUR RIGHTS, WE DON’T CHARGE ANY FEES TO GET IT STOPPED!! The FDCPA was signed into law in the 1970s by the United States Congress in an attempt to regulate the collection industry. The idea behind the act was to prevent the abusive, humiliating tactics employed by some of the collection agencies. But most people are unaware that this law exists, which means that the collectors get away with quite a few violations. We are one of the few law firms that actually look into their tactics. If there is in fact a violation, the FDCPA states that the collector has to pay you up to $1,000 (which isn’t much, but it’s something). The other nice thing about this Act is that you do not have to pay your attorney any fees in order to determine if a violation has occurred. That’s because the law also states that if in fact the collector has violated your rights, it is the collector’s duty to pay all of your attorney fees. So what kind of violations do the collectors commit? There are literally dozens of ways in which a collection agency can violate the FDCPA. They could be charging you interest on the debt (without disclosing it). They could be trying to collect on a debt that is still within your validation period (i.e. the first thirty (30) days after the first letter you receive from the collector). They could be calling you multiple times per day. Or they could be threaten a lawsuit (when they have no intention of actually filing a thing). The best to figure out whether or not a collector is violating the FDCPA is make an appointment with an experienced attorney to help guide you through the process. Our attorneys can analyze the collectors tactics and methods to see if there is a violation. 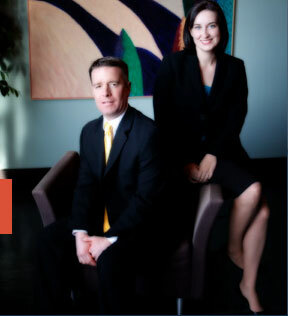 And if you are in need of a St Louis bankruptcy, Brinkman & Alter can handle that for you as well! !